This week’s Pizza Friday features arguably the greatest of them all—Delaney’s Irish Pub. Delaney’s, of course, is a true Laurel legend; and while I’ve posted briefly about it in the past, there’s so much more to be said about its time at Montpelier Plaza, including its very untimely (and unfair) fiery demise—which we’ll save for a later date. But for now, just think of that wonderful, thin crust pizza. Suffice it to say, there hasn’t been another like it since. thank you for remembering. the pub and the employee’s from the first day of its opening will always be remembered. the man behind the idea would have been so proud of this remarkaable place. it’s sad to think of so many sad events happened since it’s founding. I recently found this site and it’s great to see so many people with similar memories of the best pizza place I’ve ever known. I was a kid growing up in Montpelier in the 70’s. My family, friends, and their families were there often. We loved it. I always hoped there would be some way to have the pizza again. Are you still making it? Do you know of anyone that is still making it? Would you be able to share any insights into the recipe? I would love to try to recreate it at home. Delaney’s. I drove those guys up a wall by leaving a matchbook a week. My question now is where do I find the recipe or the crust??? I grew up in the 70’s.on Delaney’s Pizza! Every Sunday after mass my mother would take us there for that amazing thin crust pizza with pepperoni. It was like having a pizza on a giant cracker! The midget (leprechaun) was Sammy Ross, an actor who played along side of people like Charlton Heston, and did that gig for 20 years. Last time I was there, sometime in 1993 maybe, the pizza sadly wasn’t as good. It seemed like they must have gotten cheap and used frozen pre-made crusts. By 1993, it was under different management, Marcus. Still a good pizza, but not as good as it was during Delaney’s tenure. Hey Ray – I want to replicate a Delaney’s Pizza so I can try to explain the magic to my wife and kids. If you made a million pizzas can you share anything you remember about how to make them? Strange btw that I probably stood peering over the count to watch you make a few of them back in the day. Erin go braugh! Did you ever get any insights into the recipe? I also want to try to recreate the pizza. wow! 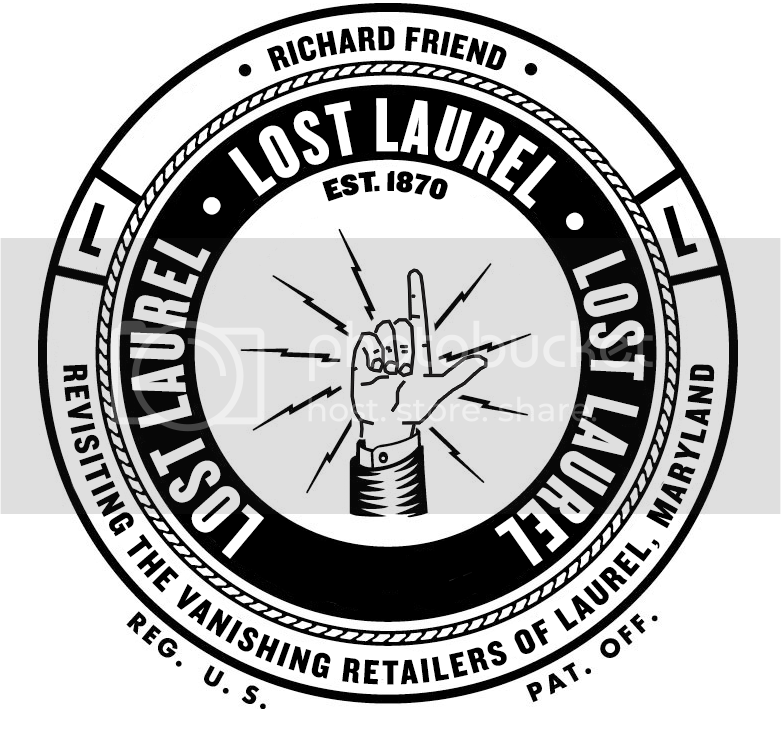 worked there 1971- 1978. My first job. Met my husband there and my some of my best friends,best and bad times,and will never forget the music from the juke box! One of the pipers was Tom O’Connor and another was Bob Heina. I was a waitress there in 1972. Fun place to work, but only $1.00/hr! Good tips though! Spent many hours with my teammates from MOBLAS 4, 6, 7 and 8 after tracking satellites. Still miss Debbie Delayney, Ivy, little suzi and the others…. Great times! Is there any way to find the pizza recipe? For the dough and the sauce? Anyone have any ideas? I would love to recreate it. It was the best pizza ever. 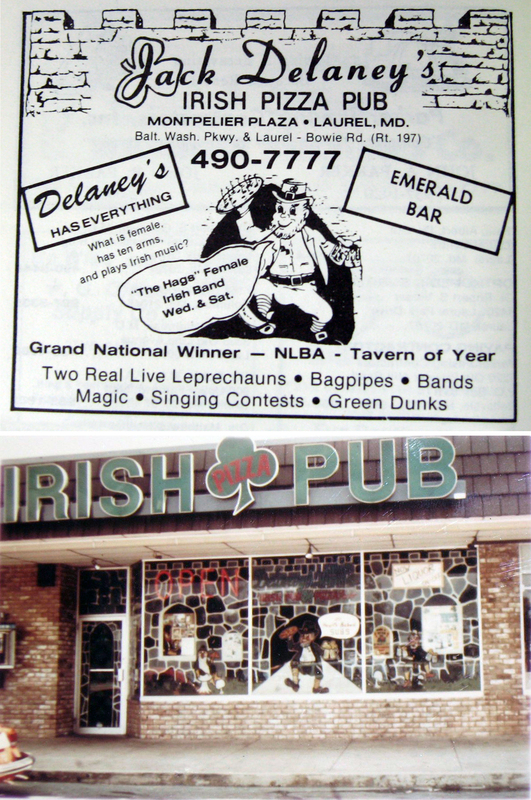 I last ate at Delaney’s in 1997/98. It was still awesome. Jason, there are a few former employees who have the recipe (not to mention Jack Delaney’s own daughter, whom I’m sure has perfected it). But I’m told that unless you have a comparable brick oven to bake it in, it just won’t be the same. In the meantime, I recommend Pizza Oven in Riverdale. They’ve been in business in the same location since 1957, and still make what I think is the closest to that wonderful old Delaney’s/Pal Jack’s taste. Hi Richard, thanks for the reply. I don’t have a brick oven at home but would still love to try it nonetheless. I’ve been dreaming of finding the “holy grail” recipe and making my own version of Delaney’s masterpiece for several years. Are you in contact with any of the former employees? I see a few older posts from some of them here. I’ll try reaching out to them. Thanks also for the Pizza Oven in Riverdale suggestion. I look forward to trying their pizza.